Did Indra attack Ur in Sumeria? Indus Valley interpreter in an Akkadian cylinder seal dated 2500 BCE. Research article No.1337; Dated 9th October 2014. The Eighth Mandala of the Rig Veda is the most interesting and mysterious of all the Mandalas. It is full of historical data. It is all about foreign lands, particularly Iran and Sumeria. Scholars who consider Rig Veda as a historical document of Vedic Hindus are puzzled with the details in the Mandala (Section). The more we know about Mesopotamia (Iraq), the more we understand the Eighth Mandala. Indra killed Sri Binda, Anarshani (Iranian Ersan), Ahishuva (Dragon or Snake Shuva). Talk of camels and the Iranian names show that the Vedic Hindus started migrating to Iran at that period. But we must note that wherever the sages went they received the gifts. In short they were respected and they did Hindu Yagas. After the Dasrajna Yuddha (Ten Kings War) mentioned in the Rig Veda there was a big migration of Vedic Indians towards Mesopotamia. They were called Asuras. Most of the Assyrian (Asura land) kings have this ASUR in their names as prefix or suffix. The group that went towards the West was led by Zarathustra/ Zoroaster. He called Vedic gods Asuras in revenge. Scholars have also noticed that the grammar and language of Zend Avesta coincided with the late period of Rig Veda. 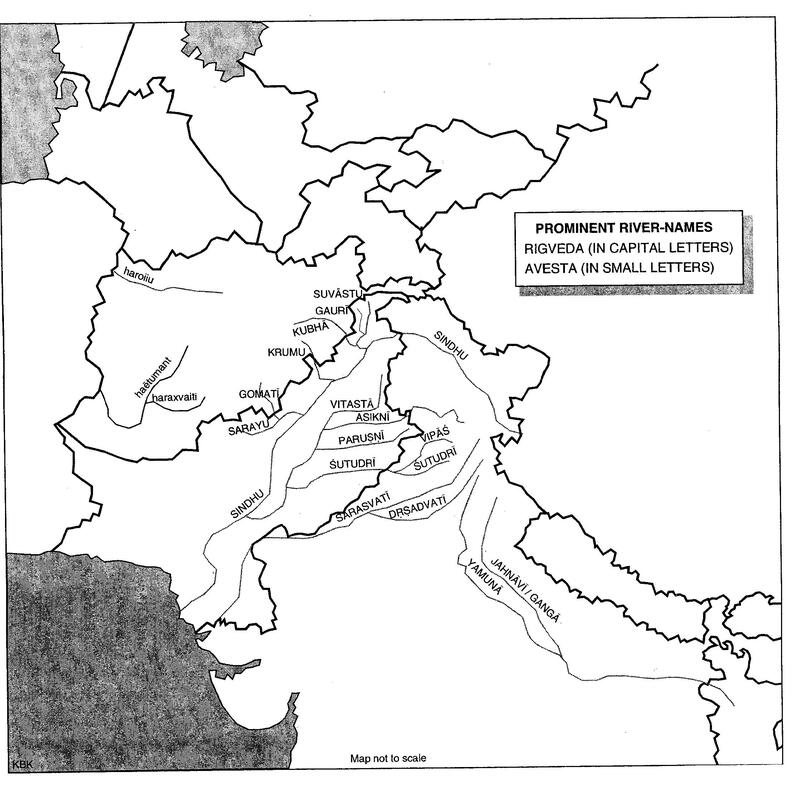 This means the Vedic Hindus were well settled in the Ganges and Indus plains when this group went towards the west. Sage Savya Angirasa mentions Sushravas in the hymns (RV 1-53-9 and 10). He says that Divodasa Atitigva entered into an alliance with the youthful Sushravas. He is identified with Hushrava of Avesta (Iran). Sage Kakshivan Ausija mentions Ishtashwa in RV 1-122 who is identified with Vistaspa of Avesta (Iran). Now we know from Mesopotamian and Avestan records that they lived around 2000 BCE. Indrota (Indatu) of RV 8-68 is identified with Indatu of the Babylonian cuneiforms. He became the king of Babylon around 2000 BCE. Emusha of RV 8-76 to 78 is identified with Emissun of Larsa near UR. The sage of 8-78-2, Kurusuti prays, for a MANA of gold. Max Muller admitted that if the MANA here indeed be the Sumerian MANA (measurement), the text would be very ancient. Mana is a half pound gold. From this hymn we come to know that Indra slayed Emusha. The name itself is a strange Non Vedic name. He was the king of Sumerian Emissum who ruled Larsa around 2000 BCE. “I slay in inaccessible places…… (sacrifice). It said, “thou sayst that those can slay in inaccessible places – if this be so, the boar Vamamosha (Emusha) guards for Asuras, behind seven mountains, the wealth which the gods must obtain; prove title by slaying the boar.Indra by sezing the tuft of a dharba grass, pierced the mountains and slew him”. Thus it was a historical battle in which Emusha of Sumeria was killed by Indra. Larsa is very near Uruk (Ur). This battle took place around 2004 BCE. So Indians carried out lot of attacks in West Asia. Actually Asuras were also a splinter group of the Vedic Hindus. They revolted against the group that won the Ten Kings war. It was led by Sudasa with the support of Vasishta. All Dasa names are Vedic Hindus!!! The mention of “seven mountains” led to the phrase in Indian stories, “beyond seven mountains and seven seas, there is a cave” etc. As children we have read such stories in Chandamama magazine. It is a Vedic phrase!! From this we know that our forces travelled a long distance to attack the enemies. I have already explained in my post NAVAL ATTACKS OF HINDU GODS that how Lord Krishna eliminated the Chaldean forces (Kaladeyas) and the sea pirates (Nivata kavachas). The naval battles are described in detail in Mahabharata, Harivamsa and Bhagavatha Purana. These battles took place around 3100 BCE. The submarine discoveries under the sea near Dwaraka proved that it was a port 5000 years ago. Lord Muruga and Seran Senguttuvan also eliminated sea pirates and Yavanas according to Skanda Purana and Tamil epic Silappadikaram. Naram Sin who ruled Akkadian empire (Mesopotamia/ Iraq) around 2250 BCE had an interpreter from Meluha (Indus Valley). 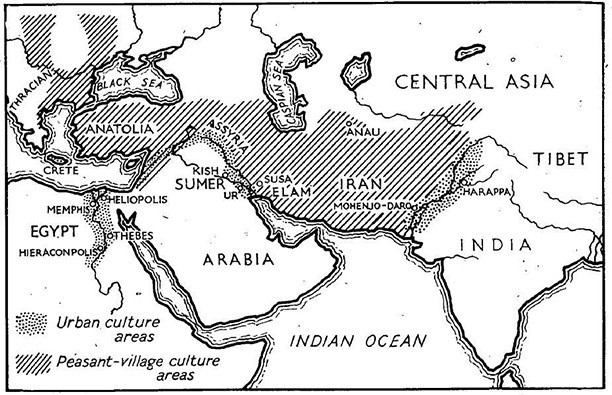 Sumeria had several languages around 2500 BCE. Kassites and Hittites were people of Indian origin. All the names of Mitannian kings around 1400 BCE are in Sanskrit. They ruled Syria. Hyksos who attacked Egypt around 1700 BCE were Yakshas from India or Sri Lanka. 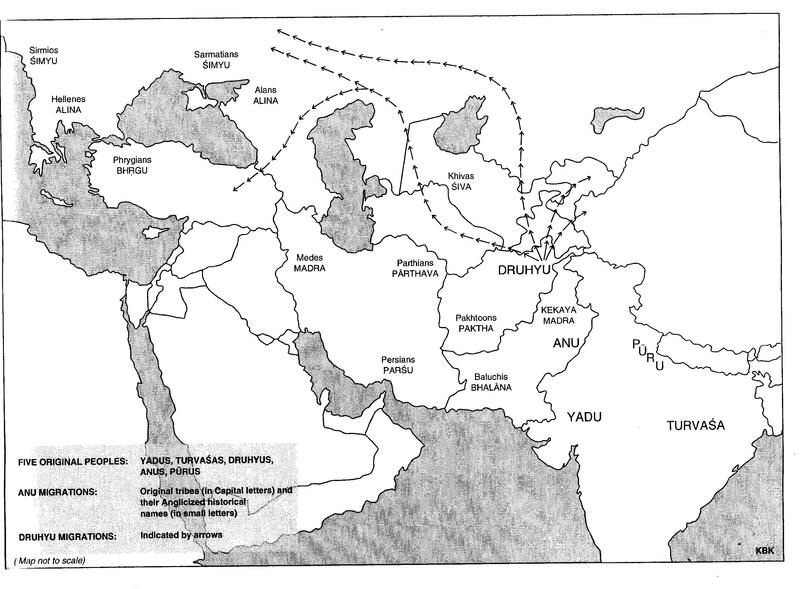 Modern research shows the role of Vedic Hindus in West Asia. 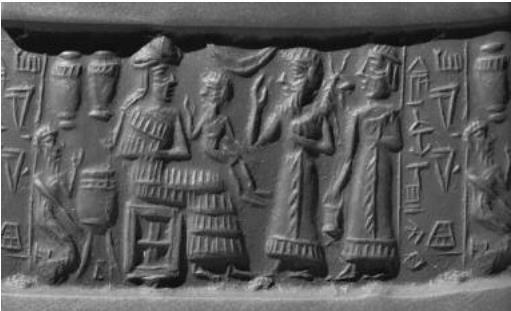 Scholars admit that Sumeria was a melting pot of many language speakers and cultures from the very beginning. I have already written a post about 3000 Gods of Mesopotamia (Iraq). Egyptians and Sumerians say that they came from outside where as Megasthenes who visited India 2300 years ago says that Indians claim that they have been ruling for 154 generations when I came here. It shows Hindus were the sons of the soil where as Egyptians and Sumerians were migrants from India. Sanskrit scriptures called Egypt ‘Misra Desa’ meaning Land of Mixed people. So the purity of blood was maintained only in India and not in other places. One may wonder why so many languages existed around 3000 BCE in Sumeria. Only Hindu scriptures have the answer. கடவுள் பெயர் என்ன? எல்/அல்- ஈலா- இடா – அல்லா!! !